Please use the search for members of the Witte family from southwest Nebraska. 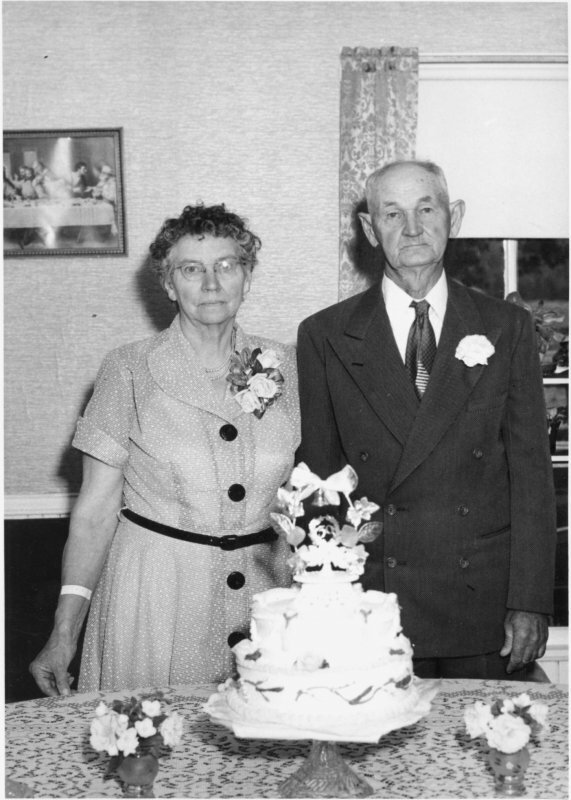 If you are researching another branch of the Witte family and have found a link, contact us and let us know! 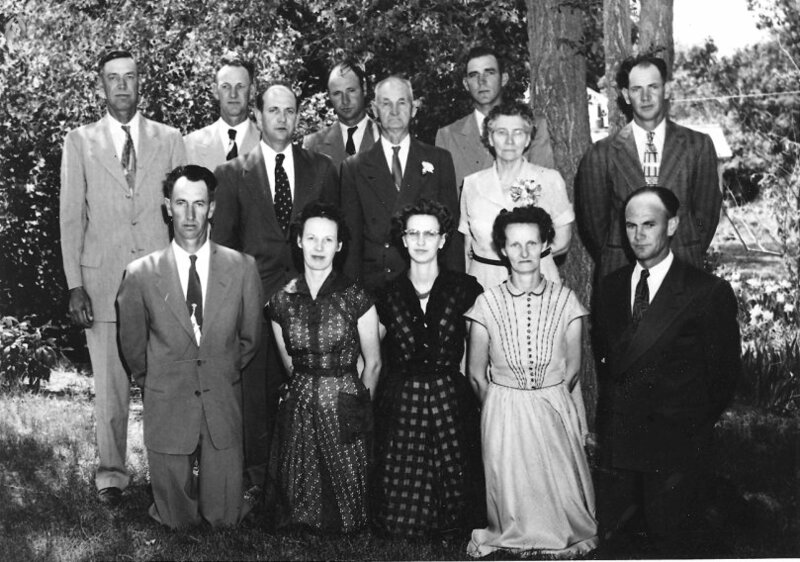 Back row from left: Alvin, Wilbur (Slim), Gilbert, Art, Clement, Jerry, Elisabeth and LeRoy. Front row on knees: Herbert, Vera, Patty, Irene and Eddy. The photo was taken on the day of celebration of Clem and Elisabeth's 50th Wedding Anniversary.